Literature has often told us how jesters are usually the saddest people on earth. Charlie Chaplin stands testimony to the same. Last week, Robin Williams, one of the most superbly talented humorist/actor/legend somehow made our fears of this probability come true, when he seemingly committed suicide at his California home. There was always a hint of a deeper understanding of reality, in his squinted eyes, that passed off as delightful humanism in his otherwise dramatic roles. 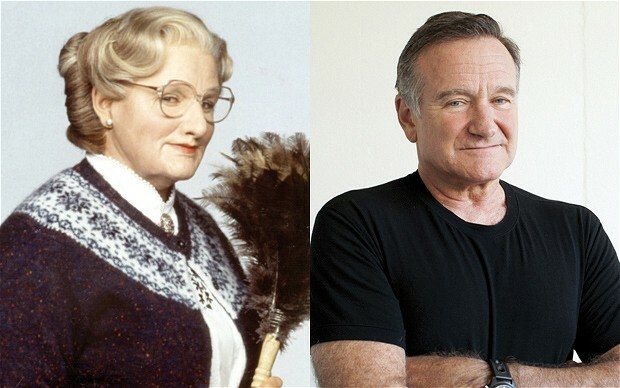 I remember seeing that in Mrs Doubtfire and many others. That invariably vulnerable persona of the actor that you immediately fall in love with. Anybody else, however accomplished, would have fallen short of rendering that beautiful blend of happiness and sorrow, which was Williams’ forte. Two failed marriages cannot be his reason for depression, because the third one apparently proved alright, with the wife Susan Schneider calling him her ‘best friend’. Then how does an actor resort to alcoholism and drug abuse in such a way that it takes away his love for life? What do artists really go through when they do something like this (reckon Rajesh Khanna)? Is it the pain of being seconded by upcoming actors who bring in something fresh and different, something Williams probably felt he didn’t have or couldn’t bring forth? Or is it simply, addiction and going past the possibility of rehab? Is it true after all that one shouldn’t get used to fame because without it, life might seem unlivable? Then Gary Oldman is probably better off because he thinks himself not quite the mould to be bedazzled with his share of fame. Was his soul really there? 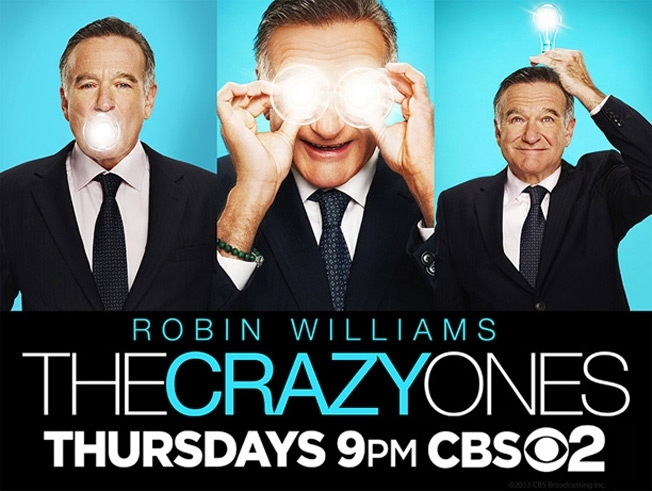 Just for the sake of recalling his latest endeavours, I am forced to believe that The Crazy Ones wasn’t quite the show that could satiate the passion of a stalwart like Williams. Thinking that, I am now scared for Matt LeBlanc (or Joey from F.R.I.E.N.D.S., who is also doing a comedy on air), for he knows too, that these new shows seem to use old popular faces for TRP and not much art. In fact, every time I see stars who have been succeeded along the years, I feel bad and fear for them. Some are smart and move on with life’s new ventures. Some are smarter and learn to mould their art according to the needs of the generation, like our own Naseeruddin Shah and Amitabh Bachchan. And some on the other hand keep trying too hard to impress, with whatever they have always had – Dharmendra and the Deol sons to be precise. I fear for SRK too because he hasn’t changed since the years, still thinks of himself as the ruling Khan and gets bitter easily. When you’ve done baadshahat for a long time and are used to the superheroic adulation from the crowd, it is pretty obvious that dealing with the absence of it is going to take a toll on you. I still cannot understand why Williams would think so, but let’s be practical. He did have competitors, at least in his own arena of thought. The rule of artistic novelty unnerves even the greatest of all. Robin Williams was only human. How could he have escaped it? I know I shouldn’t mention the sad times of one of the happiest looking stars of our millennium but I cannot fathom the reason of his death. I think I would have preferred if he had died of a heart attack, cancer or any other such medical condition that somehow supplies you with an inane reason to grieve soberly. But suicide is such a bitter blow to a star’s legacy that it robs you of a coherent understanding of his/her death. Besides, it drives him/her into something he/she would have never wanted – a pity spot. It is true that change is the only constant and you have to concede your kingdom to someone else one day. But as much as we know it, coming to terms with it and aging gracefully is a different matter. It is disheartening to learn that extreme talents often resort to abruptly ending their lives (read litterateurs like Virginia Woolf too). And I shall grieve with the rest of the world for this terrible loss. For I cannot pretend to celebrate his accomplishments and watch his immensely commendable movies, before I have cleared my heart out of the misery of a Robin Williamless world. From Father to Husband to Son – woman remains a woman!